Did someone say Prosecco?? Well New Years is right around the corner and Champagne sales go through the roof. There are so many delicious champagnes to choose from. If you haven’t had a prosecco yet, its a must try in my book. 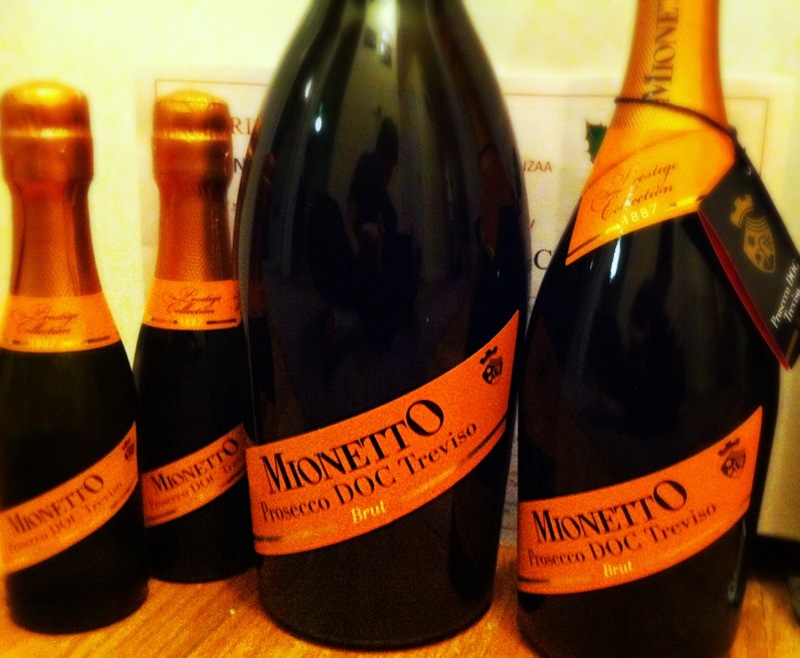 I received a holiday care package from Mionetto Prosecco Brut and I wanted to share with you my review. This prosecco is bringing intense fruity bouquet with a hint of golden apples and citrus. Its dry but fresh and light in body. Goes great with all those delicious appetizers this holiday season. Also its an appropriate base for Bellinis and Mimosas. I give this an 8 out of 10, and high recomendations. Cheers! !